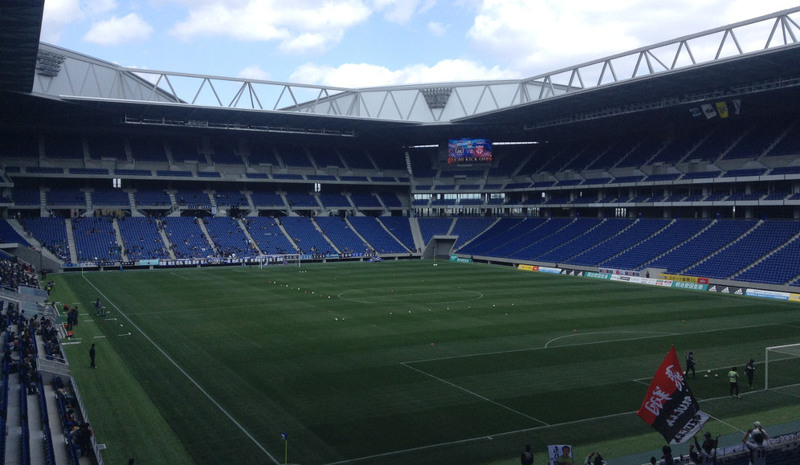 Suita City Football Stadium was built to provide Gamba Osaka with a modern home. First plans for a new stadium were made in 2007, but it took until late 2013 for construction to start. 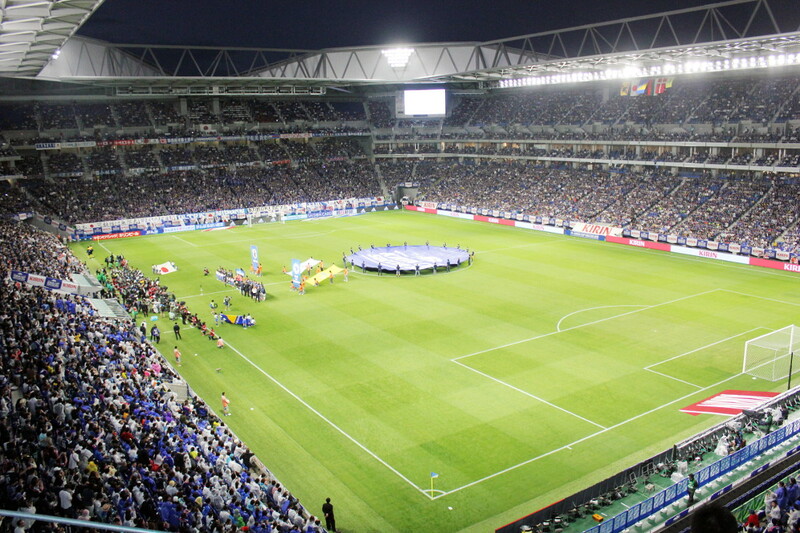 The stadium got built on the Expo City grounds, the site of the 1970 World Expo, which also houses Gamba Osaka’s previous home ground, the Expo ’70 Commemorative Stadium. 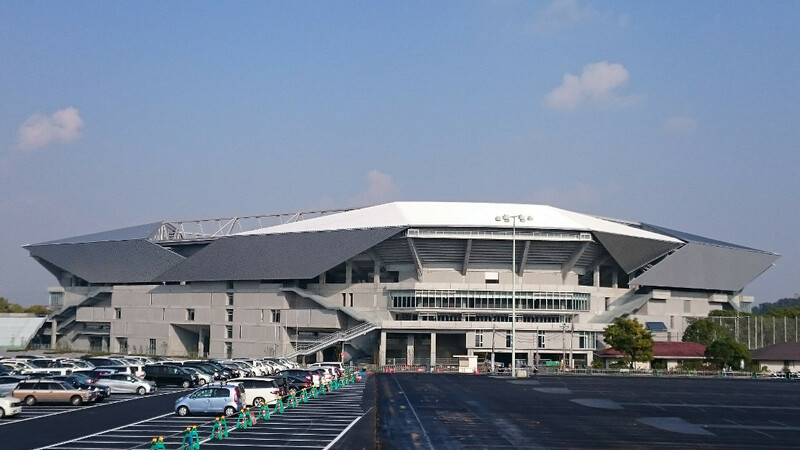 The new stadium was financed by private donations, but upon completion ownership was transferred to the city of Suita. 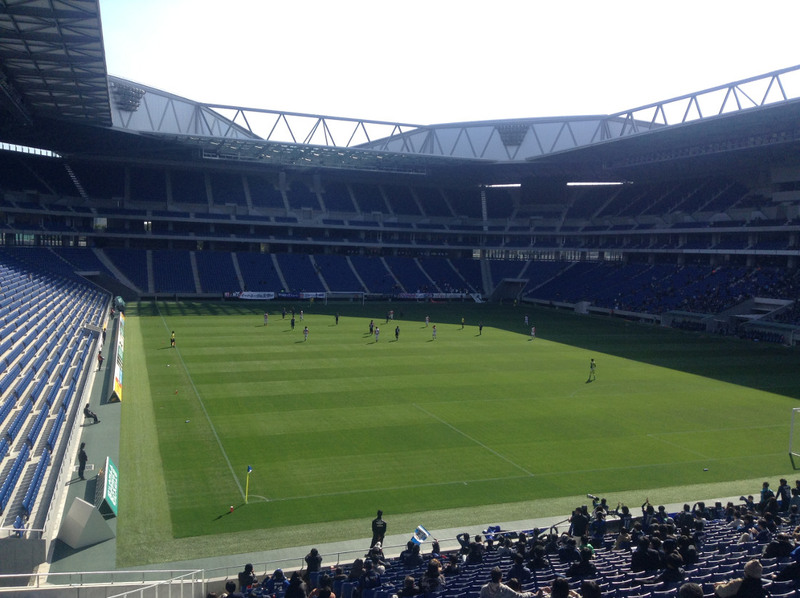 Suita City Football Stadium opened in October 2015, but it took until 14 February 2016 for the first match to be played at the stadium when Gamba Osaka hosted Nagoya Grampus in an exhibition match. Suita City Football Stadium is located in the city of Suita, a suburb in the north of Osaka. It lies about 13 kilometres north of central Osaka. The stadium is located a short walk away from Banpaku-kinen-koe Station, which is on the Osaka monorail. The monorail runs from Osaka Airport in the north-west of the city, through the northern suburbs to the west of the city with several connections to the Osaka metro and rail network. There are vairous ways to get to Suita City Football Stadium from central Osaka. From Umeda or Juso station, take a train on the Hankyu Kyoto line and change at Minami Ibaraki Station to the monorail. In reverse order, from Kyoto (Kawaramachi Station), this is also the way to get to the stadium. An alternative is catching a Hankyu Senri line train from Tenjimbashisuji Rokuchome station and changing to the monorail at Yamada Station. If preferring the metro, take a train on the red Midosuji line (which runs straight through central Osaka) in northern direction and change to the monorail at station Senri-Chuo. A final option is to take a metro on the Tainimachi line to Dainichi Station where you change to the monorail. In all cases, expect a journey time of 50 to 70 minutes. 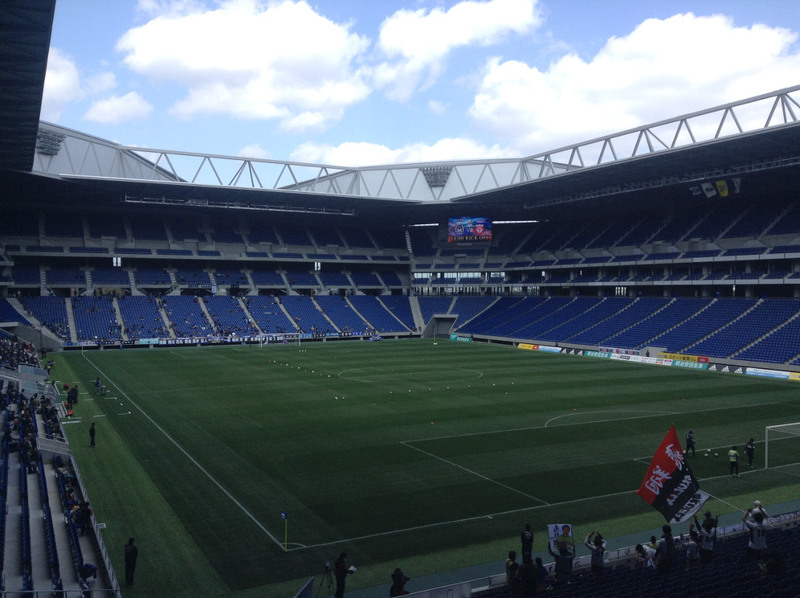 Tickets for Gamba Osaka games can be bought online through JLeague-Ticket, Pia, 7Ticket, HMV, or Eplus. They can furthermore be bought in person at the self-service ticket dispensing machines at any 7Eleven, FamilyMart, Minimart, CircleK, Pia, or Lawson convenience store. Ticket prices range from Y$ 2,500 for a seat behind the goal to Y$ 5,000 for a lower-tier seat at the main stand. Gamba-osaka.net – Official website of Gamba Osaka.